You know, I really thought I couldn’t like Wawa any better. It’s got killer cream cheese pretzels, the best gas station coffee ever and a full-service counter serving hot drinks and food. Bonus: It’s pretty darn affordable. Since I’m already there all the time, I save even more by using its rewards app. It’s fast and easy to use — and I can pay with my phone and collect a freebie every time I spend $50. And apparently, the rewards program just gets better around the holidays. Like, a lot better. 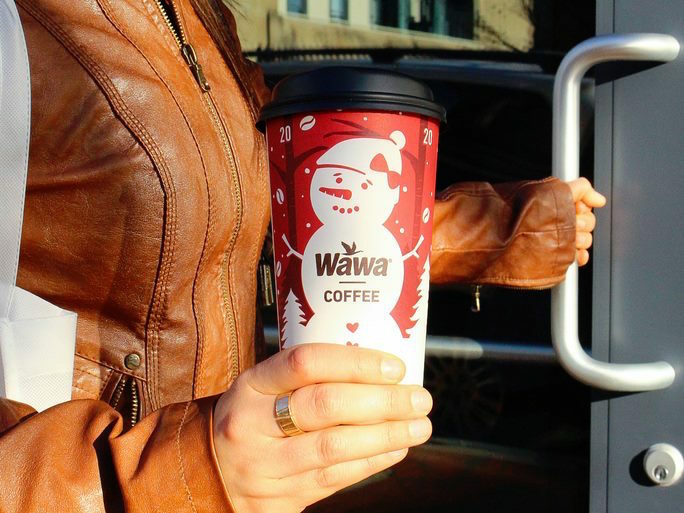 Happy Holidays, Wawa Rewards Members! Wawa’s running a special 12 Days of Rewards promotion for its rewards members. And these freebies are no joke. Offerings so far have included a free bakery donut, a free fountain drink of any size and even a free standard-sized package of Reese’s Cups. And although the deal’s well underway (it started on Dec. 1), we wanted to make sure you don’t miss any more sweet freebies before it ends on Dec. 12. Participating is super easy: Just sign up for Wawa’s rewards app and head to the store. Per a Wawa rep’s confirmation over the phone, you don’t have to buy anything to nab the free goods. However, in order to activate your Wawa rewards app, you will have to pre-load a gift card to spend on your store purchases later. But if you’re anything like me, setting aside $15 specifically for coffee might actually help you save money… because you can see exactly how fast your java habit adds up. Your Turn: 100% Colombian or house blend?